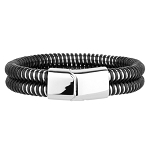 Stylishly understated, this men's stainless steel bracelet has a fashionable two tone look. High polished stainless steel links hold black ion plated (IP) rectangular center accents. 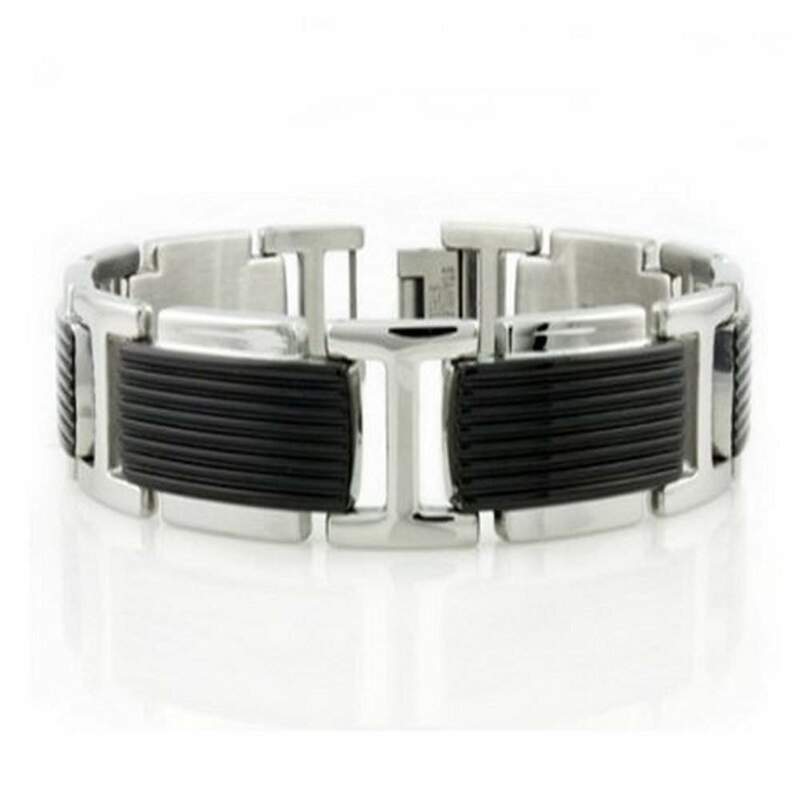 A fold-over clasp completes this 15mm wide by 8.5 inch long designer stainless steel bracelet.